We are honored to invite you to participate in The 125th Canton Fair Spring that will take place at Guangzhou International Convention and Exhibition Centre between Monday, April 15, 2019 to Friday, April 19, 2019. 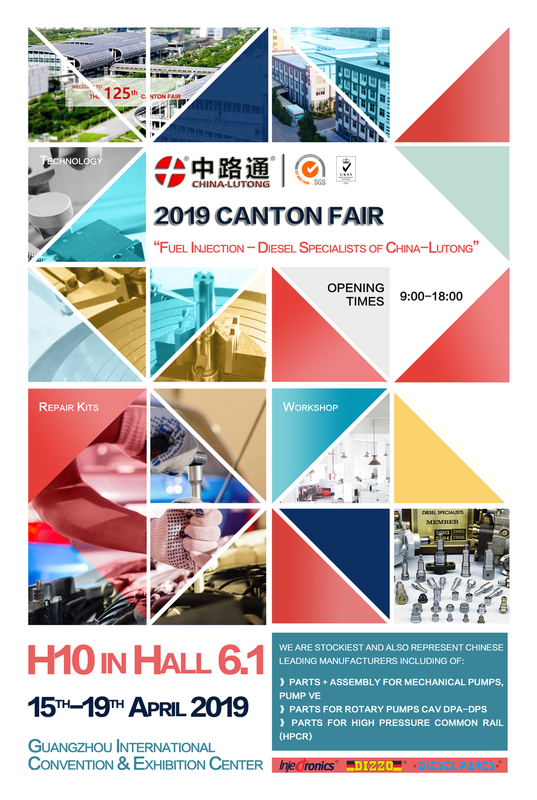 The China-Lutong team is excited to be exhibiting at Canton Fair once again. Visit Booth H10 in Hall 6.1 to learn more about our Fuel Injection Solutions. Please kindly find our booth information as below for your reference. For quality and coverage, China-Lutong is your aftermarket leader for Fuel Injection and Fuel Systems. China-Lutong offers full coverage for import and domestic vehicles, with an unsurpassed range of premium, quality fuel Injection and Fuel System components that meet or exceed OE. China-Lutong Injection Pump Head Rotor Kits are built in our Iso9001:2008 certified OE manufacturing plant, where they undergo extensive testing to ensure precision quality, enhanced performance, and improved durability.